SPRING PRICE REDUCTION!!! Warmer weather means that fishing season is right around the corner. 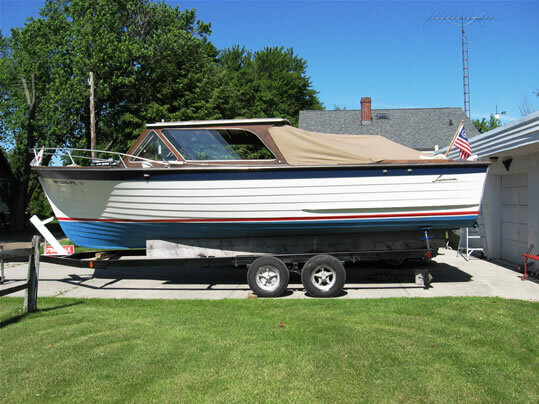 You're looking at a quality 1973 26' Lyman Cruisette classic called "The Erie Rose". 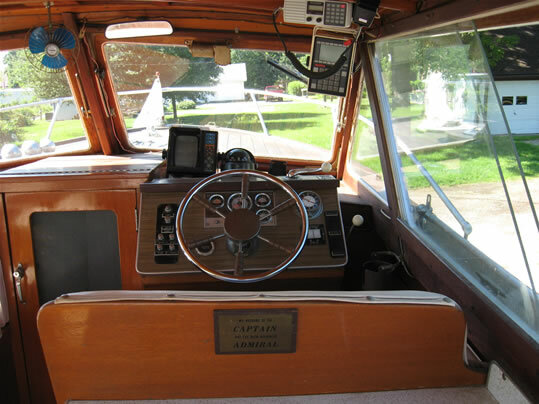 As written by Tom Koroknay, the Lyman Boat Works Historian (www.clinkerbuilt.com), The 26' Lyman Cruisette is one of the most popular Lyman boats ever built. 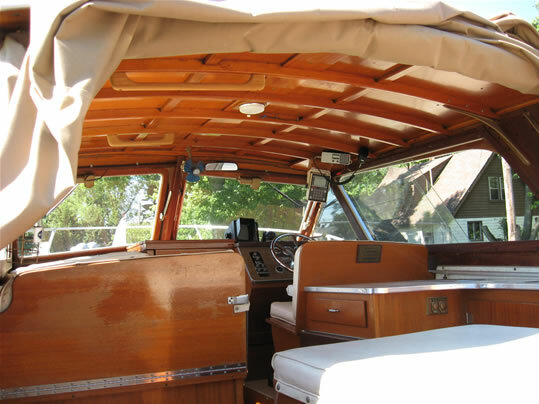 This is a 1973 Model, Serial number R00070, and was the last year the Cruisette model was built of wood. This is the hardtop model. It is clinker built. The Cruisette model, with its dinette, sink, and icebox, coupled with the fact that it is a single screw, makes it very popular because it is economical and will accommodate four people or a small family comfortably for a weekend cruise. 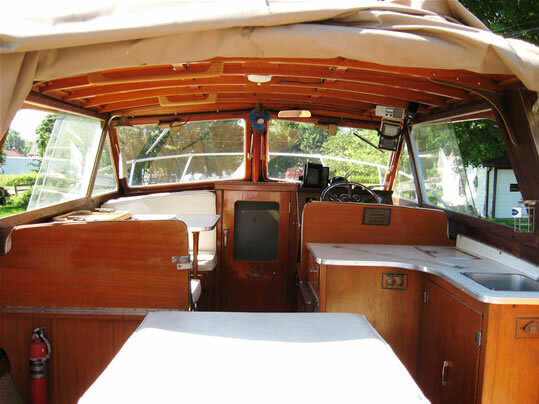 The seller is the 3rd owner of this craft and has maintained the boat and the engine extremely well for the last 16 years. 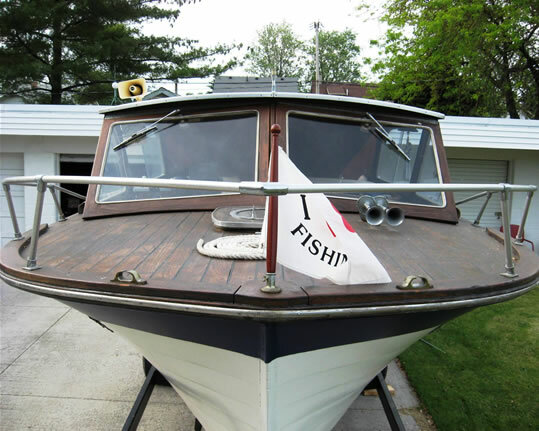 It is a fresh water boat only (Lake Erie) and is a great fishing boat and a fabulous family boat for Great Lakes touring and island hopping. It has been wintered indoors in dry dock. The interior is beautiful original varnished wood. There is new paint on the hull and all exterior. 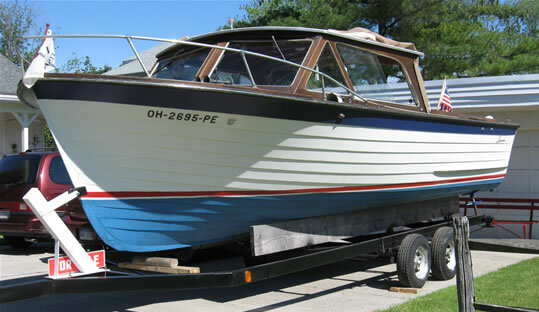 The boat is on a quality tandem (double axle) trailer, which is included in the sales price. The engine has only 334 hours since 1997. Extra equipment is included. In addition, the Ohio registration is in place and is valid until 2011. The successful buyer must take possession at the owner's residence in Port Clinton, Ohio. If you are in the area, please call and take a look at this beautiful craft.